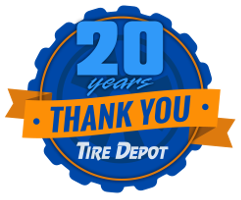 STOP IN TODAY AND TIRE DEPOT WILL HELP YOU OUT. 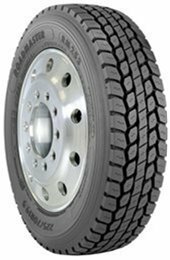 Tire Depot is your source for truck tires in CT. Browse our excellent selection of high quality truck tires below. 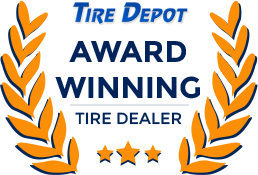 Tire Depot is dedicated to bringing our customers the highest quality Cooper truck tires at the best prices! You can use our contact page to make an order, or stop in today! 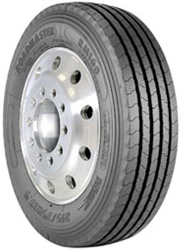 The RM230 WB is a heavy-duty wide base truck tire. 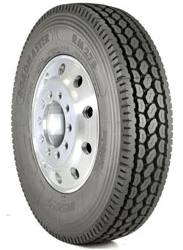 The aggressive all-position tread pattern performs excellent on the front end of a dump truck, or in trailer or drive positions in mixed service applications. The application specific tread compound and heavy duty belt construction will deliver the cut and chip resistance and durability that your fleets want. With a tread compound specifically formulated for fuel efficiency, RM871(EM) is the right fit for long haul applications. Wide shoulder ribs and rib edge sipes are designed to resist scrubbing and promote long even wear. Stone ejector blades are designed to resist stone penetration, leaving a durable casing for retreadability. 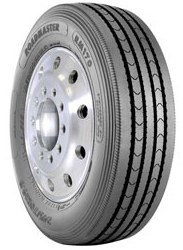 The RM180(EM) is a long haul steer truck tire that is SmartWay verified. 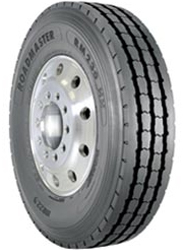 The modern tread pattern and high tensile strength four belt construction combine to provide the retreadability, treadwear and fuel efficiency to meet your fleet's requirements. 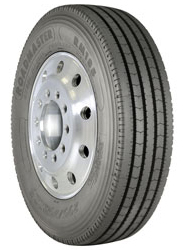 The RM185 is a regional all position truck tire that is SmartWay verified and CARB compliant. The solid shoulder tread design and high tensile strength four belt construction combine to provide the retreadability, treadwear, and fuel efficiency to meet your fleet's requirements. 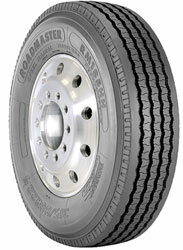 The RM275 is a long haul drive truck tire. The solid shoulder traction design and high tensile strength four belt package combine to provide the retreadability, treadwear and traction to meet your fleet's requirements. 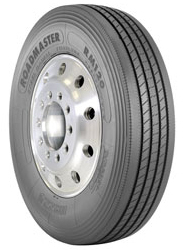 The RM120 is a long haul trailer truck tire that has an optimized tread depth and high tensile strength four belt package combine to provide the retreadability and even treadwear that your fleet's require. The RM235 is a regional haul drive truck tire. The aggressive open shoulder traction design and high tensile strength four belt package combine to provide the retreadability, treadwear, and traction to meet your fleet's requirements. 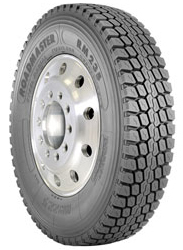 The RM185HH is a regional all position tire designed to handle the heavy hauling. The 5-rib tread design and high tensile strength four belt package combine to provide the retreadability and treadwear that your fleets require. 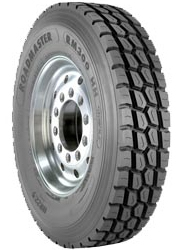 The RM230HH is a on/off road all position tire designed to handle the heavy hauling. The robust tread pattern, tread compounding and high tensile strength four belt package combine to provide the retreadability, treadwear, and cutting & chipping resistance that your fleets require. The RM300HH is a on/off road drive truck tire designed to handle the heavy hauling. The deep traction pattern, tread compounding and high tensile strength four belt package combine to provide the retreadability, treadwear, and cutting & chipping resistance that your fleets require. 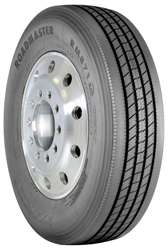 The RM170 is a pick-up and delivery all position truck tire. The solid shoulder tread design and high tensile strength belt construction combine to provide the retreadability and treadwear that your local haulers require. 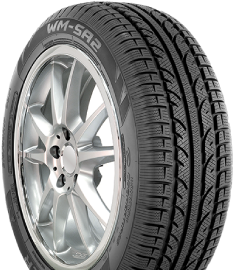 The RM253 features isle siping on the lugs to maximize traction in all types of weather conditions. The aggressive geometric groove base is designed to prevent stone retention and promote self cleaning ability. An all purpose tread and base compound is specifically formulated for pickup and delivery and regional applications to enhance overall performance. 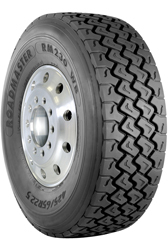 The RM160 is a pick-up and delivery all position truck tire. The solid shoulder tread design and high tensile strength belt construction combine to provide the retreadability and treadwear that your local hauler requires. Sizing is ideal for low-platform trailers.